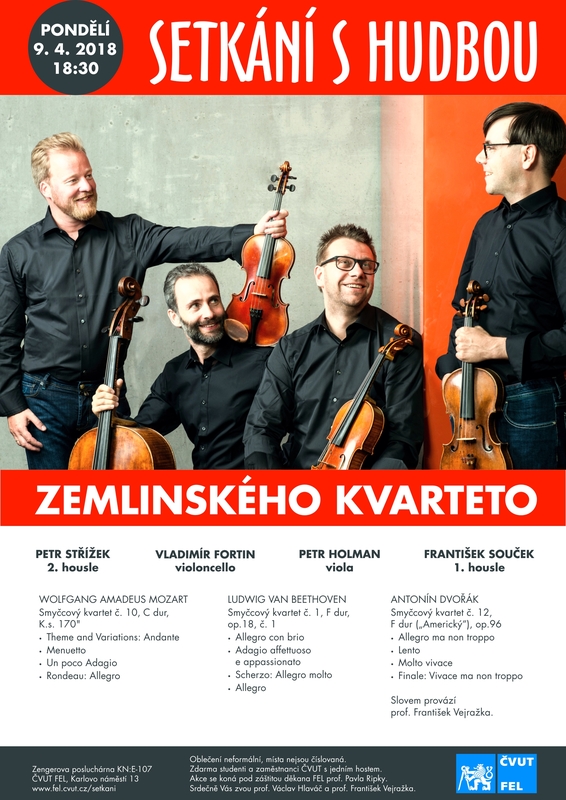 Let us invite you to a concert of Zemlinsky Quartet. 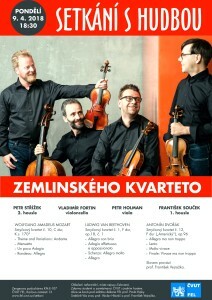 The concert is held within the Meeting with Music series. The concert is open to CTU students, staff, and their guests. Place: KN:E-107, Monday, April 9, 2018, at 6.30 p.m.